Bikers gang 3D collection. Optimized for real-time engines and suitable for high quality renders. 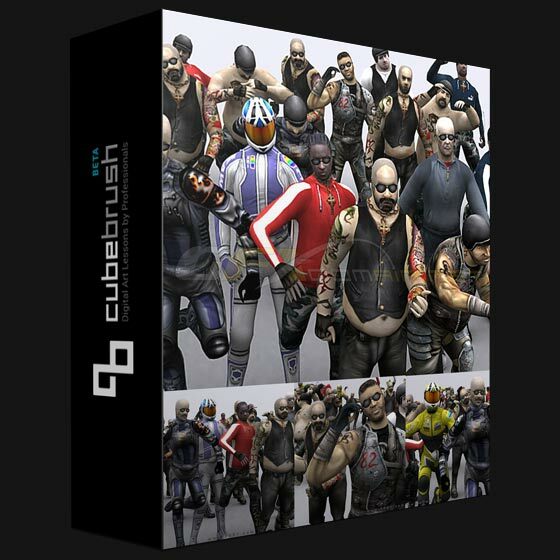 5 male bikers meshes +10 skins for each. 1500-1800 triangles per character 1024×1024 texture .PSD source file included. Extra lowpoly version included. Triangles count: ~1800 per character.